Normally you can only connect one application to a single video capture source. SplitCamera is a freeware virtual video clone and split video capture driver for connecting several applications to a single video capture source. Usually, if you have a web camera or video camera connected to your computer, you cannot use it in more than one application at the same time, and there are no standard Windows options that make it possible. Split Camera driver allows you to easily multiply your web-camera (any model), video cameras (analogue or digital including VHS, DV, TV-IN or TV-tuner). These can be added to video chat or video conferencing software like ICQ, Yahoo Messenger, MSN Messenger, Skype Video, Camfrog, AOL AIM, Pal Talk and more. The maximum connection is for up to 64 clients in a single video source. You can also use splitcam to send your home videos at the same time to many video conference programs such as a friend using MSN Messenger that can see your home video while another friend uses Yahoo messenger can see it too. Splitcam is an excellent idea although in reality, coordinating between multiple messengers or video sources can become very confusing. The setup process is also tricky and you might find yourself spending more time trying to get simultaneous images than actually using it. SplitCamera is a freeware virtual video clone and split video capture driver for connecting several applications to a single video capture source. Usually, if you have a web camera or video camera connected to your computer, you cannot use it in more than one application at the same time, and there are no standard Windows options that makes it possible. 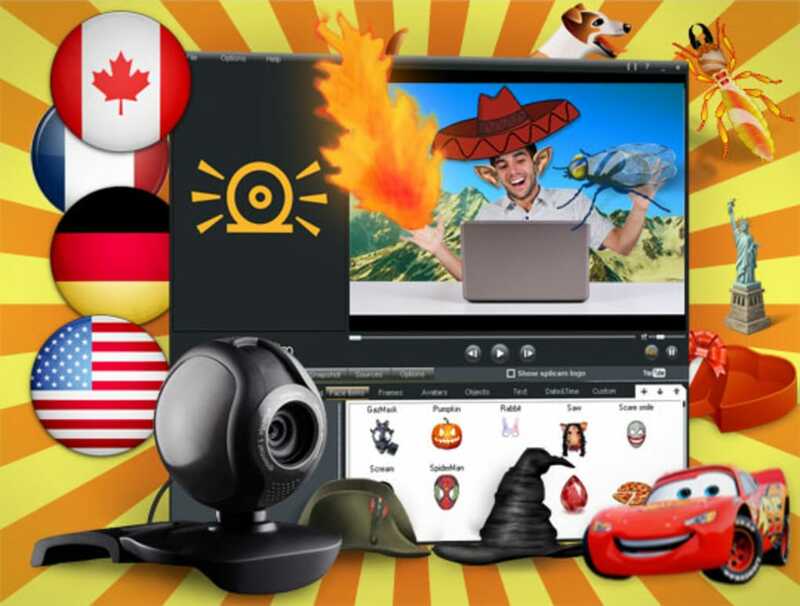 The Split Camera driver allows you to easily multiply your web-camera (any models), video cameras (any model: analog or ditial : VHS, DV, TV-IN or TV-tunner ) in video chat or video conference software like ICQ, Yahoo Messenger, MSN Messenger, Skype Video, Camfrog, AOL AIM, Pal Talk etc. and to broadcast it to many users at a time. lousy cr**. yup... useless piece o' cr**. The old version I had worked, and there is no way to restore it. ManyCams is bulky and CPU hungry, but at least the updated versions work. score this a 0.0.
doesn't boot, consumes error memory. i recommend this program to all users who use webcam and broadcast !. Best webcam software , have good functions , upload to youtube , broadcast to livestream , justin.tv , ustream , blogtv in one click , good webcam effects , super 3d mask for webcam use., digital zoom, hd resolution , very good webcam software. best webcam software the new version work perfects for me , many functions , easy to use , and easy to install! very good program. Realistic 3D Masks Replace whole your head with some 3D object. Just imagine virtual elephant or some other animal head on your shoulders that repeats all your real head movements. Also you can apply some famous movie 3D like Darth Vader. Broadcast your video to Livestream, Ustream, Justin.tv, TinyChat and other services in few clicks and using all SplitCam features. Make your streaming more bright and flexible!